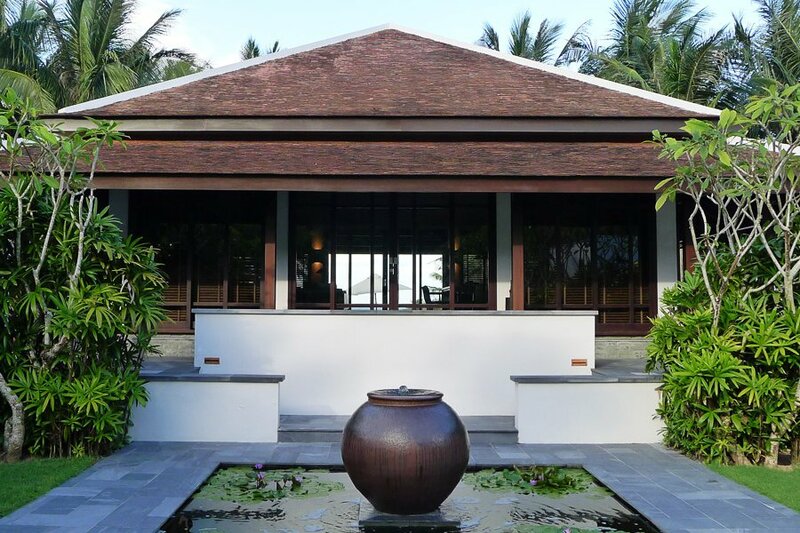 The spa pavillion at the Nam Hai. Photos by Pavia Rosati. 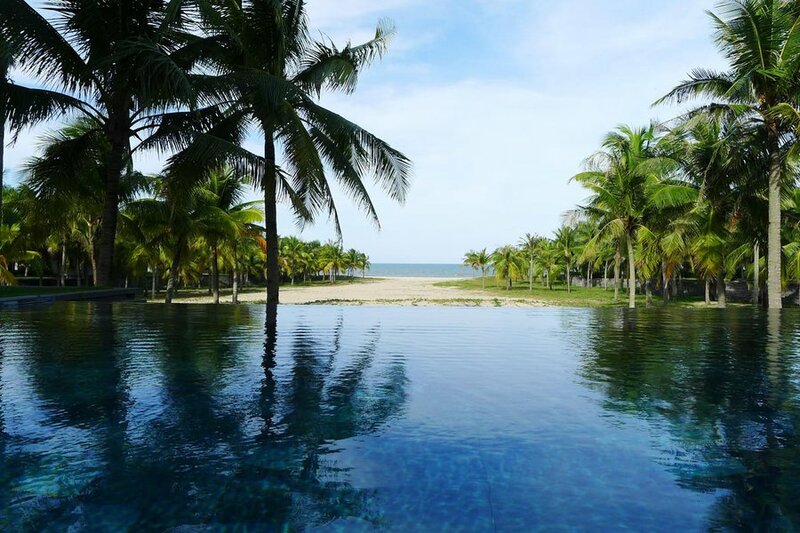 Gentedimontagna founder Pavia Rosati checks into the romantic Nam Hai beach resort in Vietnam and loves what she finds. 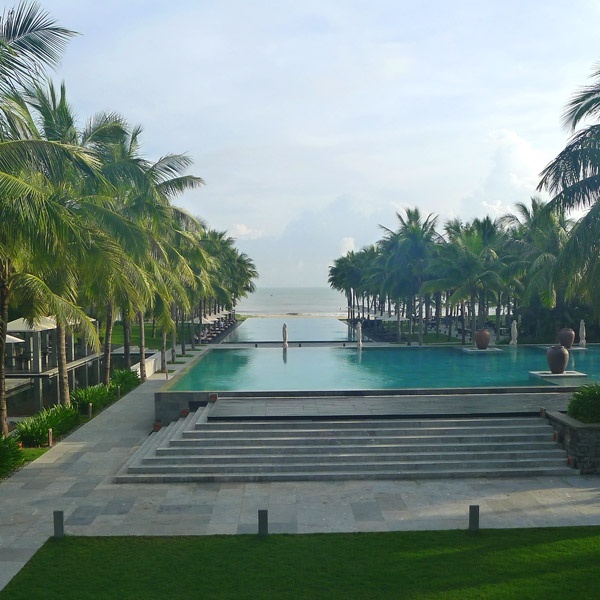 HOI AN, Vietnam – "Say hello to paradise for me," my friend Gail told me before I left for Vietnam. She was talking about hotel in Hoi An Beach, and her comment was a crazy understatement. 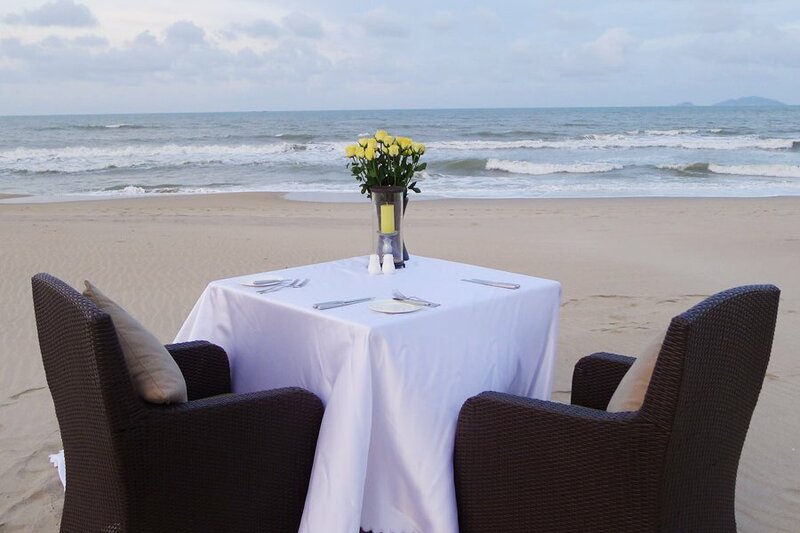 Gail spent her honeymoon at Nam Hai; I was there on a press trip with five nice strangers. I was given a gorgeous villa that's twice the size of my apartment. It was all dark woods, soft cushions, flower bouquets, and scented candles. The private plunge pool off my living room was only slightly larger than the bathtub. The outdoor shower right outside the bathroom was set in a garden surrounded by overgrown bushes and cascading palm fronds. My platform bed was a cloud from heaven. I was in Vietnam; my husband was in London. Something was very wrong with this picture. All of this romance! No one to waste it on! The lizards underfoot were cute, but not that cute. 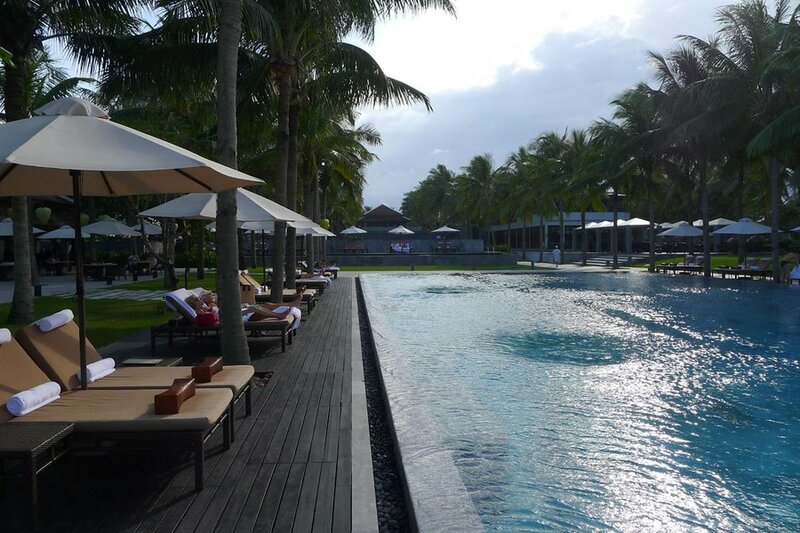 The main pools off the lobby pavillion. So instead, I concentrated on the solitary pleasures you get from being alone with that paradise to explore. 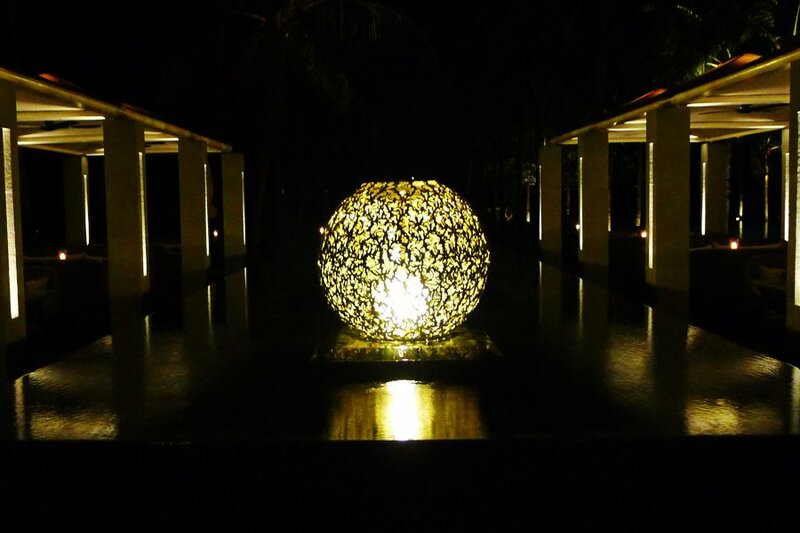 Filling my days with bathing rituals and massages at the spa pavillion across the property. 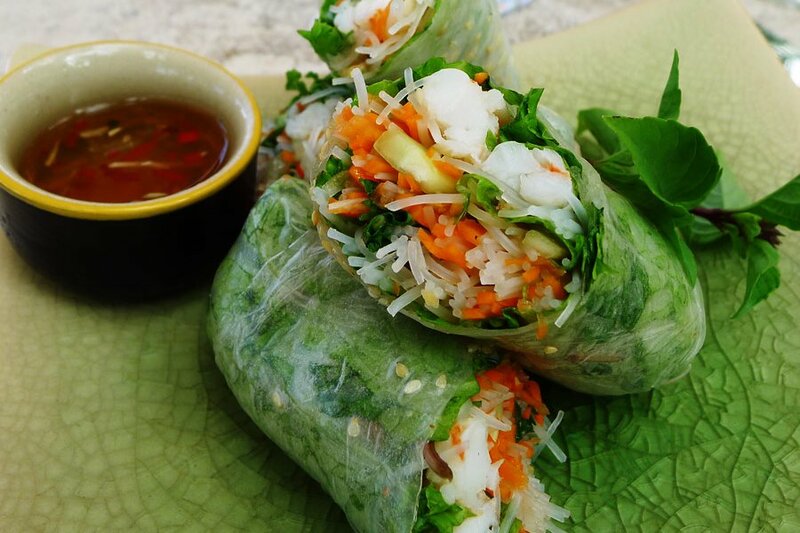 Day trips into charming and historic Hoi An town with my travel companions, hunting for the perfect bahn mih sandwich. Visits to lost, medieval temples in the jungle at the far edge of rice paddies in the countryside. In short, the stuff that travelers do when they find themselves with a few days in central Vietnam. 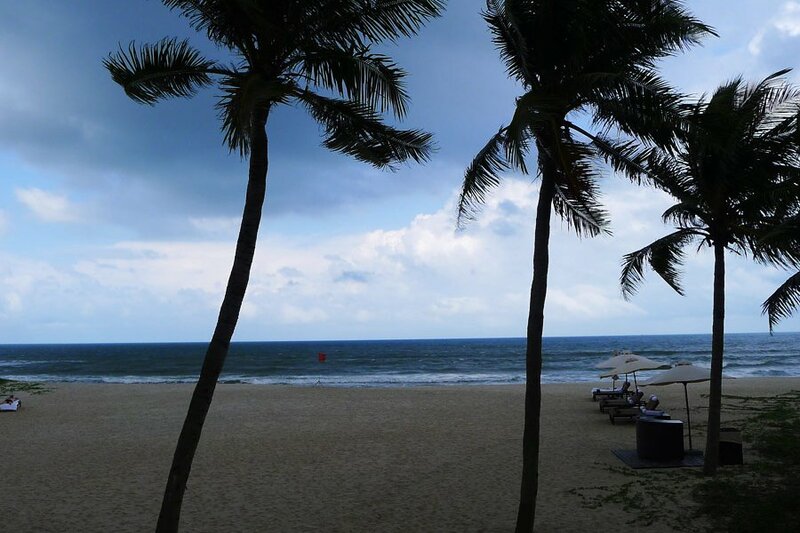 Hoi An Beach is located just south of Danang, an area undergoing considerable tourism development right now. As we drove past from the airport, it seemed like every major global hotel chain had laid claim to their slice of ten kilometers of beachfront property: InterContinental, Hyatt, Crowne Plaza, Novotel. If you happen to find yourself in central Vietnam looking for a gorgeous beach escape, I'd suggest you keep driving past all of these and not stop until you reach The Nam Hai. You'll be close enough to Danang for easy international airport access (I arrived from Seoul on Korean Air) but far enough away to feel totally removed from anything resembling touristy hordes. I love a good hotel breakfast. And then you'll get to, you know, be at the The Nam Hai. The property is an oasis on the beach, with hotel rooms, villas, and private five-room residences arranged around several acres. There's a two-level dining room that's airy and light-filled for breakfast and dark and atmostpheric for dinner, as well as a an indoor-outdoor restaurant near the beach that's great for lunch. A gym building has the best equipment and gear (not that I did anything more than a few yoga stretches on my porch). 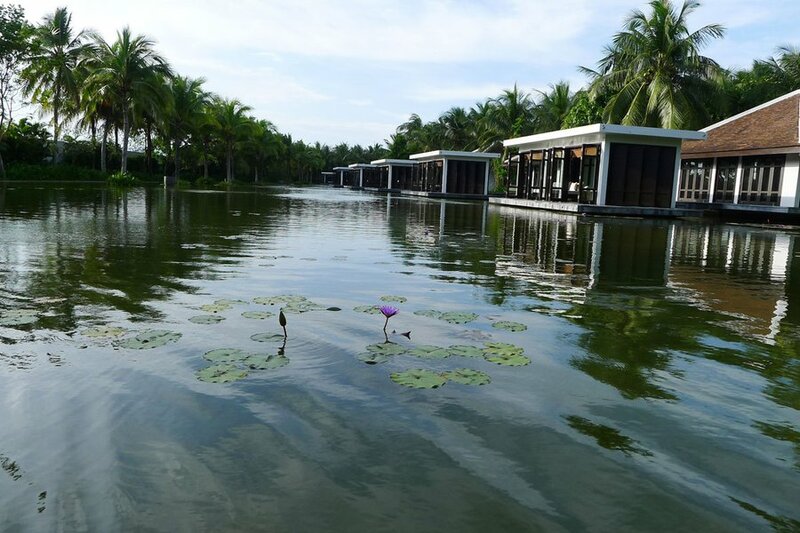 The spa complex consists of individual pavillions arranged around a lake. 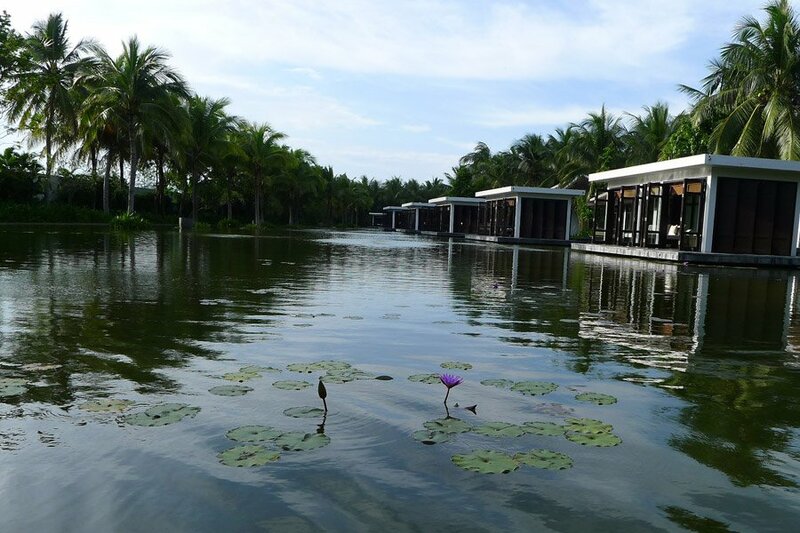 If you can find a better view for your bathing ritual than lily pads with purple flowers, let me know. The lobby could easily be mistaken for a temple. It's up a dramatic flight of stairs and has a library to one side. 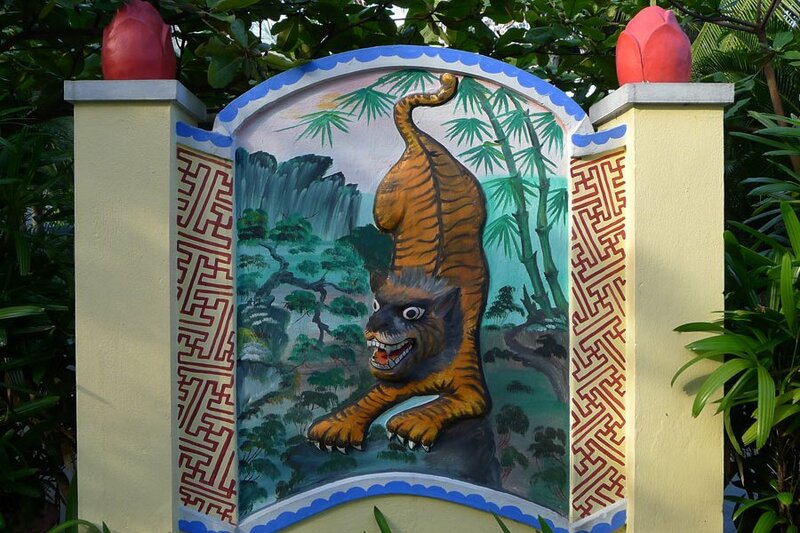 There are actual temples, with painted tigers and candle-laden altars, scattered here and there on the grounds. Stop in for a second and count your blessings and pass some on to the universe: You have a lot to be grateful for if you're here. 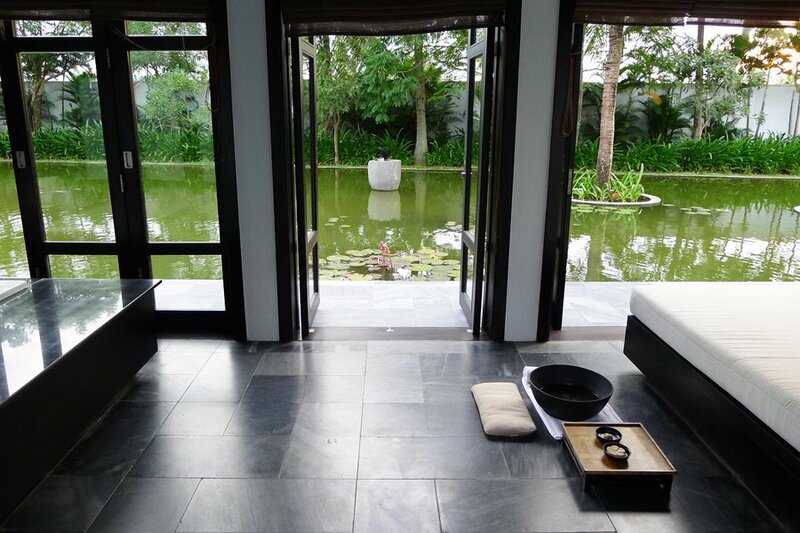 The villas have been designed according to the architectural principles of traditional Vietnamese garden houses: The entrance gives way to a public space with buildings on the right, left, and center. 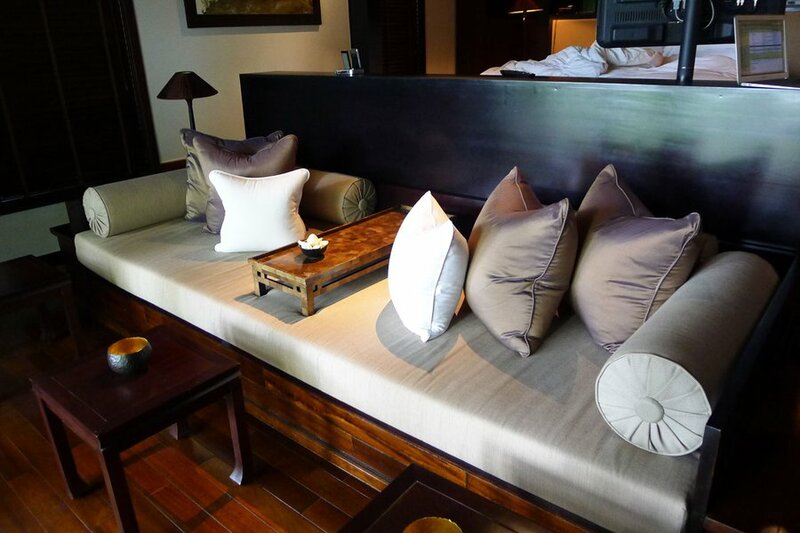 The phan is the bed in the center of the house, where people work, sleep, and dine. Although around here, there's not much work happening in bed. 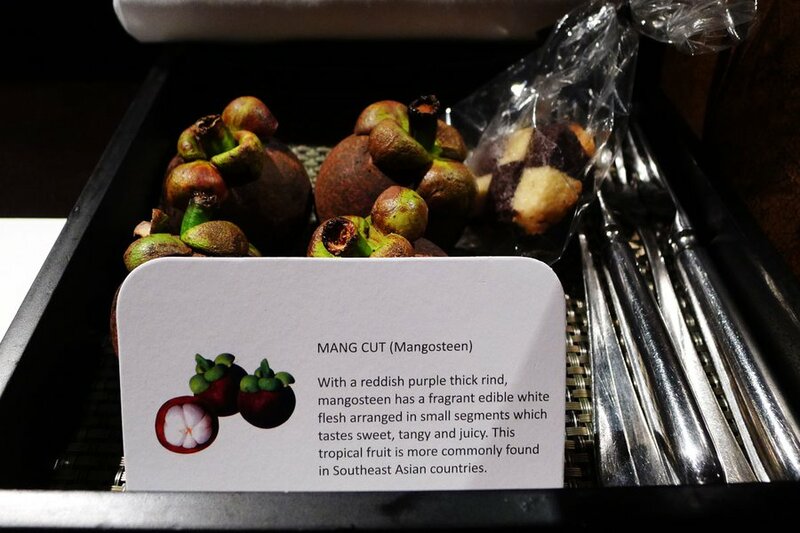 As for dining, it's more like snacking on mangosteen and lychee and other tropical fruits that someone has thoughtfully arranged out on the nightstand every morning and evening. The drop ceiling in the center of the room makes it all cozier. Though, really, how much cozier could I get? And there is water, water everywhere: fountains, private plunge pools, a large hotel pool, and, of course, the ocean at the end of the long beach spread out before the other, larger pool in my villa complex. Got that? My complex had three villas. Each had a plunge pool and shared one large pool, from which you could float and see the Pacific Ocean at the end of the long beach on the horizon. Who lives like this? Go ahead, swim anywhere. 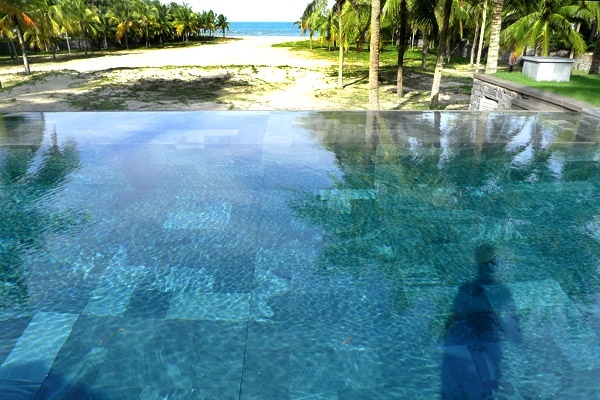 A self-portrait in the pool with the beach in the distance. For a several lovely and amazing days, I did. 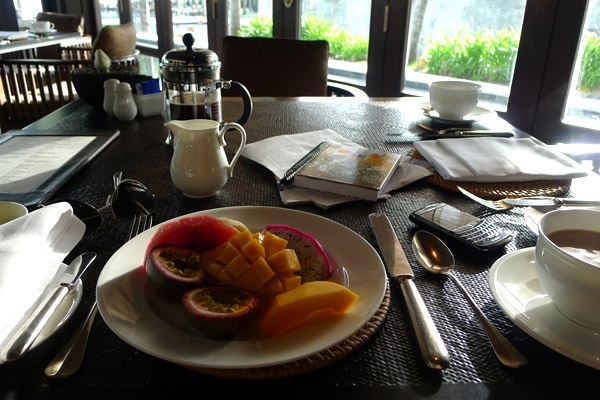 And, yes, this is the best part of running a travel website, getting to spend time in gorgeous hotels where the lovely people in charge, from the receptionist to the general manager, seem to want nothing more than for you to be happy. 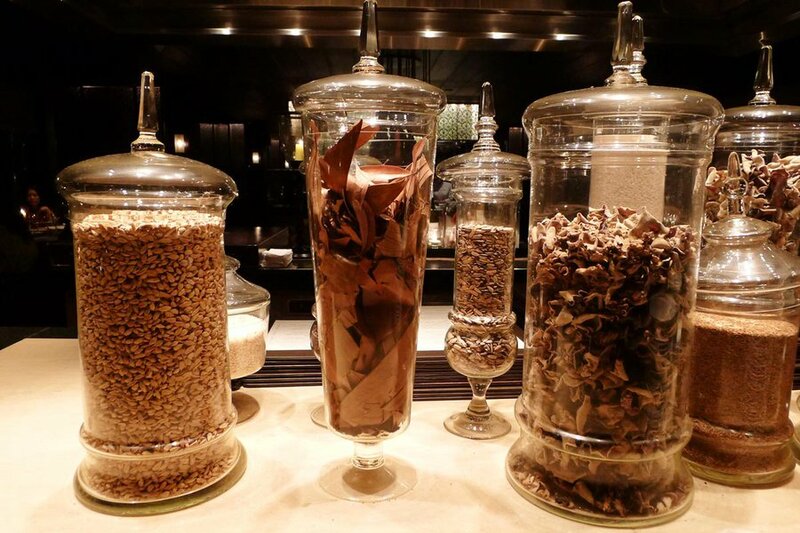 Where the breakfast spread is so incredible that you happily wake up an hour early so you have enough time to taste in every fruit in the garden of Eden, followed by piping hot pho. (And I don't wake up an hour early for anything.) 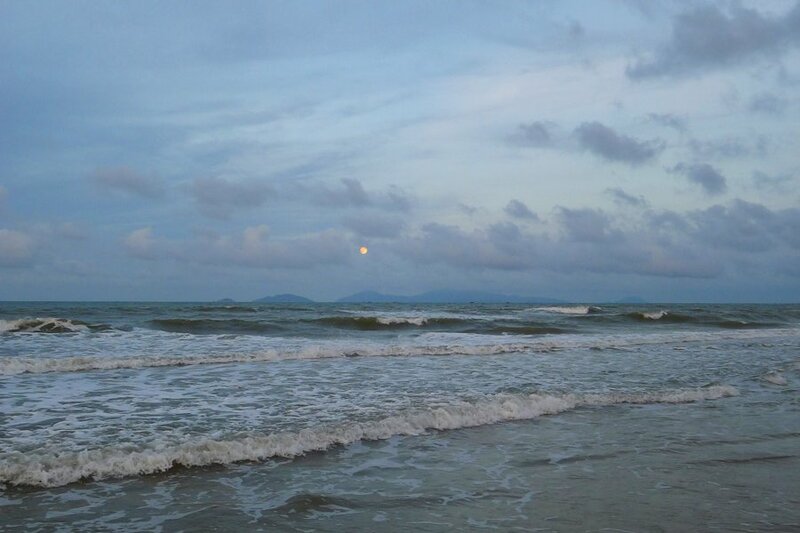 Where you can go on long midnight walks in the moonlight, kicking your way through the ocean surf. Though if you go, do it perfectly: Bring someone whose hand you want to hold. 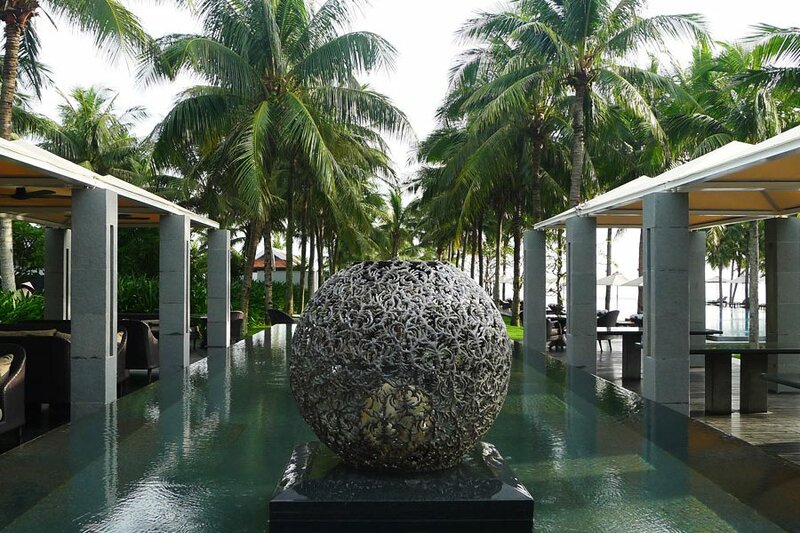 Take a virtual trip to the Nam Hai. 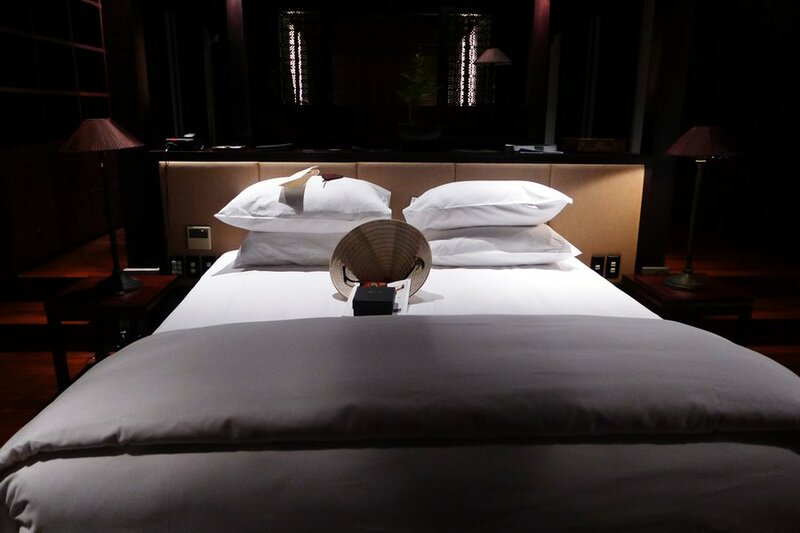 Fresh fruit (and cookies) waiting in your room. With a traditional Vietnamese straw hat. In case you tire of your bed. With the Pacific Ocean in the distance. A nice place to waste a few hours. 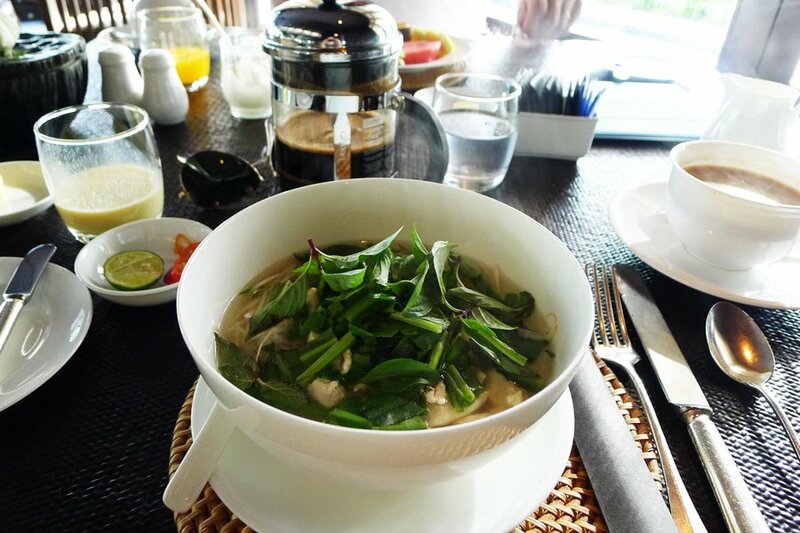 Hot pho: a lovely way to start the day. Spotted around the Nam Hai property. Palm trees at the ready. 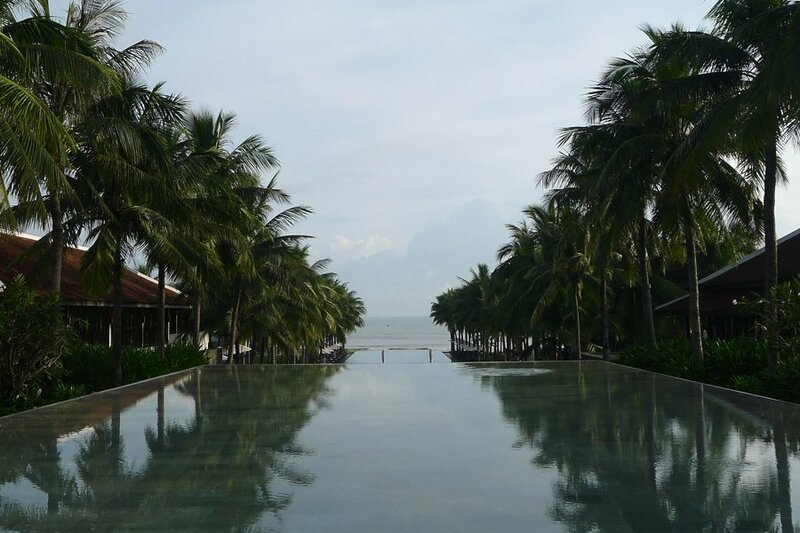 The view from my villa at the Nam Hai. 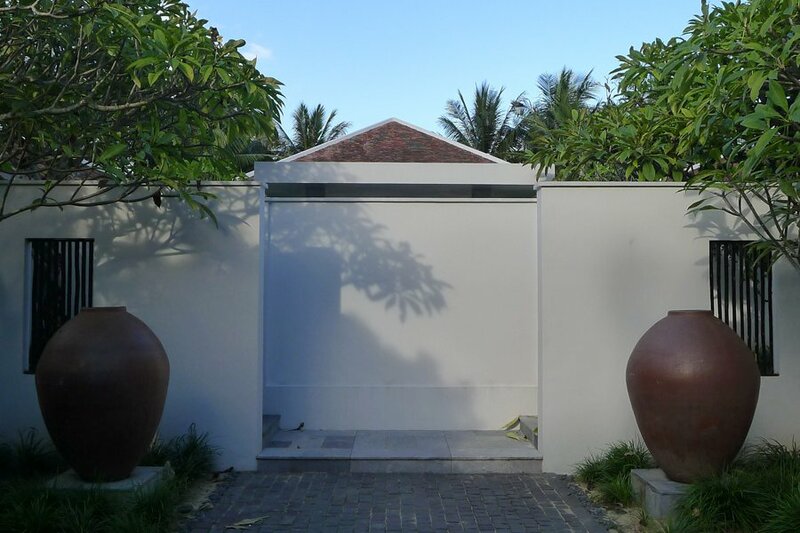 You enter your private villas complex through side passageways. It's not obvious, and that's the point. This is on the other side of the entrance.